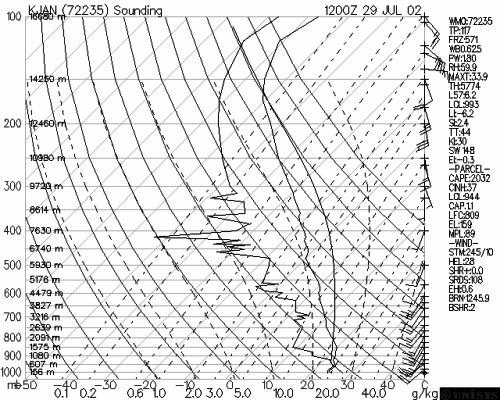 L57 is the 700 to 500 mb lapse rate in units of degrees Celsius per kilometer. 2. How is L57 determined? As L57 increases, temperatures cool more rapidly with height. Instability and increased instability becomes more likely as the mid-levels cool and the mid-level lapse rate increases. 7 C/km or higher is a very significant cooling with height. Index by itself is meaningless when it to comes to forecasting if storms or precipitation will occur.